Are the readings in the right sort of range? Given I'm assuming those are at idle, they all appear to be within specified range. 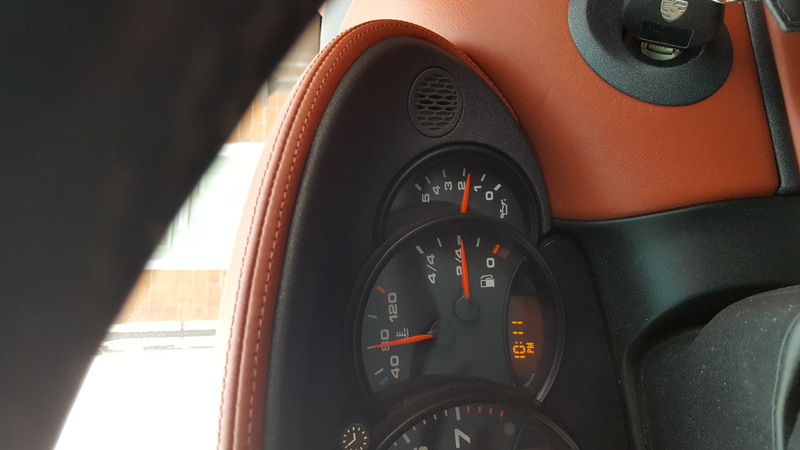 I'm not sure mine ever gets quite as low as your 'at temp' pic but there are so many factors to consider like oil viscosity, actual engine temp, oil level etc. Where does it move to 'at temp' when you're rising up the revs? Yes they look "normal" to me. Mine sits just below 5 when cold. And I don't think I've seen mine quite as low as your "at temp" picture. But all looks good. They seem to vary a little across the model years, and maybe by oil type and exact engine temp. When up to normal operating temp, mine sits just below 2 at idle and just above 4 under load. 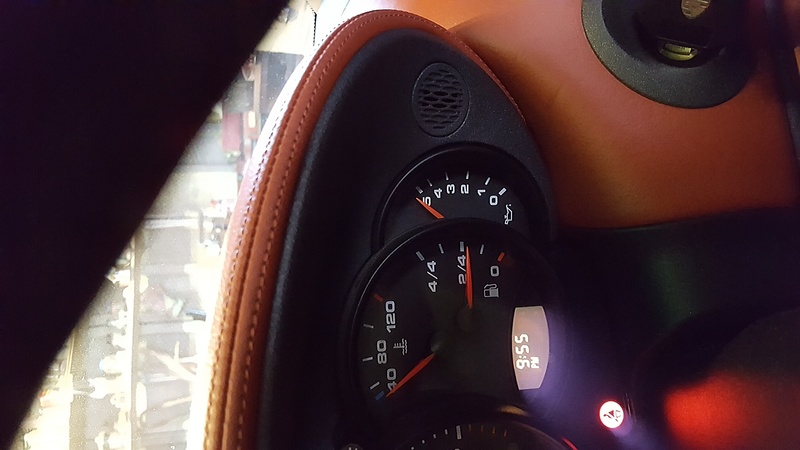 Your gauge is not that accurate but its close enough .. ign on , engine not running and it should read zero , yours is a bit below that . Cold running and its a little high .. it shouldnt really go above 5.
warm and at idle and i tend to go with anything above 1 bar is ok . Different oils make a small difference . The only way to get an accurate measurement is to fit a seperate oil gauge , which will be calibrated and read that off . 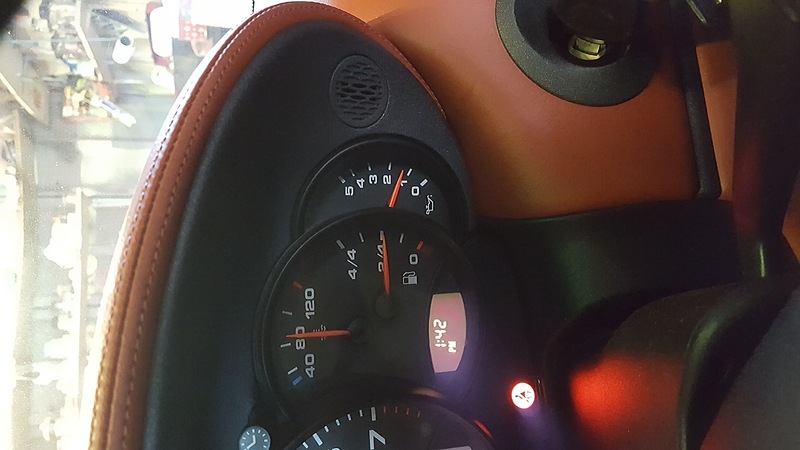 I see no point in this instance , you have a good enough gauge reading. 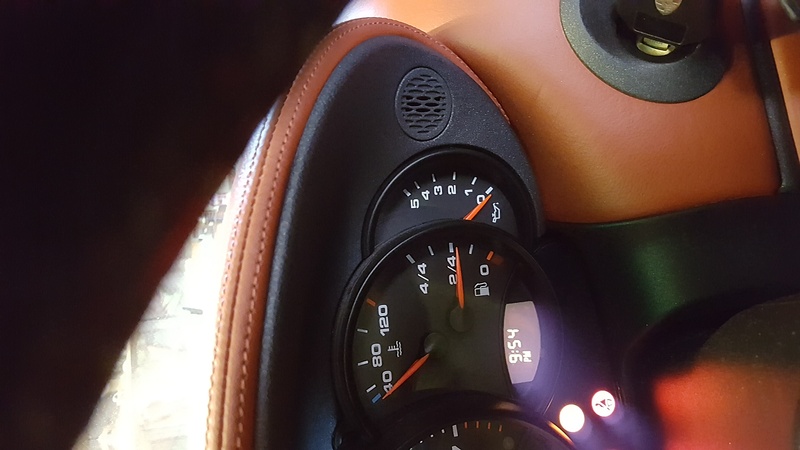 The oil warning light is the main thing to watch out for .. ive never seen it on a 996 but if that illuminates or ***** then you DO have a low oil pressure fault . Flick- ers seems to be not allowed . Behaviour echos my car with a 78.8k mile old engine, and 10w50 Millers oil, except the hot idle on mine sits at about 2-2.5 bar on a cold day where the air temperature is lower. On a 35 degree day last year, it dropped down to 1 bar after a fairly hard B road blast..